Matthew Reed focuses his practice on public finance and local government law, primarily representing municipal utility districts and river authorities as both general and bond counsel. He also represents real estate developers in the formation of special districts and in matters relating to the development of property within special districts. 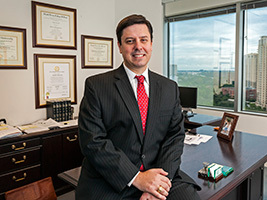 Prior to joining Schwartz, Page & Harding, Matt’s practice centered on representing clients in reorganization, restructuring, and bankruptcy matters at the Houston office of Thompson & Knight LLP. From 2008 to 2012, Matt was named to the Texas Rising Stars® by Thomson Reuters. Matt is licensed to practice in all Texas state courts, all U.S. District Courts in Texas, all U.S. Bankruptcy Courts in Texas, and the U.S. Court of Appeals for the Fifth Circuit.